Since 2015, we have been steadily building an impressive collection of small to medium-sized developments across the South East of England. Our award-winning team builds quality homes that exceed customer expectations by focusing on the finer details and specifications that truly impress – while ensuring the development comes to life in and complements its surroundings. 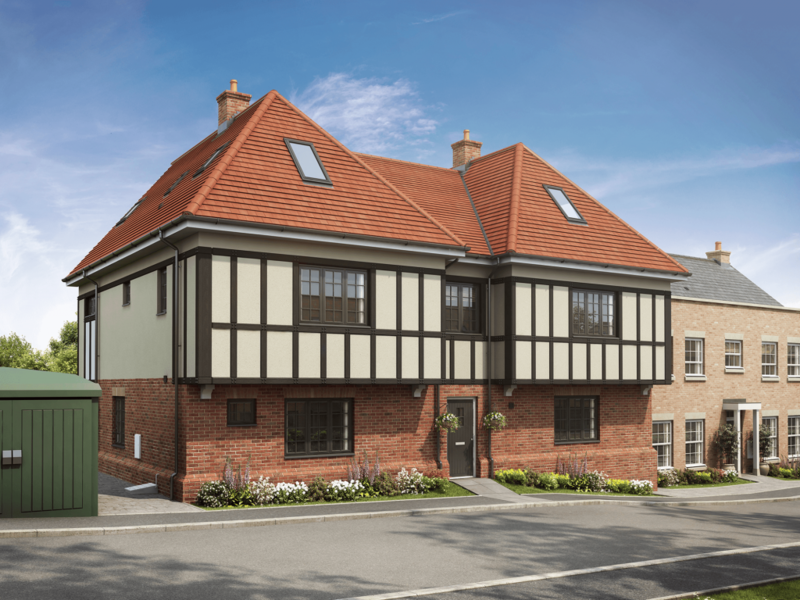 The latest addition to our portfolio is Chestnut Mews, an eclectic mix of seven two-bedroom apartments and maisonettes (many of which include an additional study) plus one beautiful two-bedroom cottage. Set in a beautiful wooded area on the edge of Epping Forest, the leafy village of Theydon Bois offers the best of both worlds: unspoilt countryside and a relaxed rural atmosphere, complemented by a vibrant community with excellent local amenities. The superb cuisine in the local cafés and restaurants attracts diners from the wider area, for example, while the two much-loved village pubs are perfect for a relaxing drink or a long, lazy Sunday lunch. Providing the ideal backdrop to a modern country lifestyle, the development also benefits from the nearby Theydon Bois tube station and boasts excellent connections to central London – with both Liverpool Street and Bond Street accessible in under an hour. London Stansted airport is also easily reachable within 30 minutes. Offering spacious modern layouts in a country setting and outstanding specifications throughout (including a 10-year NHBC warranty), Chestnut Mews is the ideal development for professionals and couples as well as young families. The development features stunning landscaping with each individual apartment benefiting from allocated parking and secure video phone entry. The homes also boast fully-fitted, high-quality kitchens complete with integrated Siemens appliances including glass induction hobs and multifunction eco-clean ovens. High-gloss kitchen furniture, with Quartz worktops and upstands, is also available in a choice of colours. Bathrooms and en-suites feature Hansgrohe taps and showers, which complement the Villeroy and Boch sanitaryware – as well as mirrored wall cabinets, shaver sockets and heated chrome towel rails. In terms of storage, the master bedrooms benefit from fitted wardrobes, offering plenty of room. Amtico flooring in kitchens, bathrooms and hallways is also available in a selection of colours. In colder months, zoned gas fired wet system underfloor heating and a combi boiler ensure the homes are kept warm and comfortable too. Construction has now begun on Theydon Bois, with prices due to be released in spring 2019. The show home is also set to launch in summer 2019. Register your interest with us today for exclusive updates on the development, as well as an invite to the future preview event and show home launch.